With summer approaching, Serenus Johnson is gearing up for another exciting season. With many projects underway and several on the cusp of breaking ground, our outlook is promising and fulfilling. 2019 will mark 100 years of quality and dependable workmanship in Bay City! 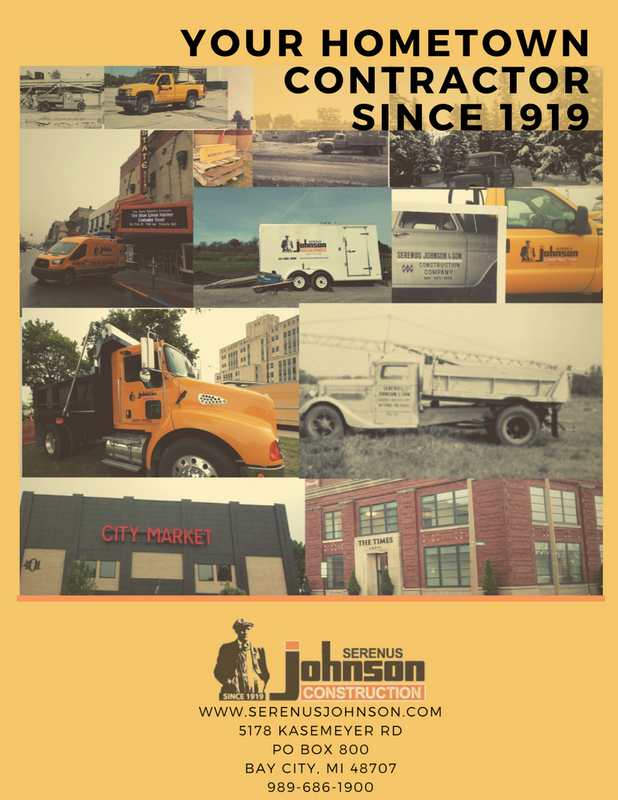 We are proud to be your hometown contractor of nearly a century! Our projects have a broad variety and have featured those in the healthcare industry, historical renovations, retail, religious, manufacturing, educational, executive offices and more. We take pride in the many opportunities we have been given and are able to provide a service in. Serenus Johnson has established roots in Bay City and supports the bettering of our community. We work closely with the Good Samaritan Rescue Mission, The Bay City Morning Rotary Club, The Bay City Chamber of Commerce, The State Theater, Southwest Little League, Bay Future, McLaren Bay Medical Foundation, Delta College Athletics, Bay County Historical Society and United Way Bay County. Each of these organizations works, in their own way, to meet the needs of our area and we are grateful to work alongside of them in advancing our hometown. – Michael Bacigalupo, Chief Operating Officer, State Theatre of Bay City. We are eager for another great year and are looking forward to more opportunities to better our community. 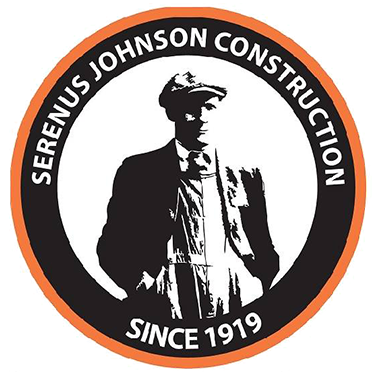 Serenus Johnson is pleased to turn the century in Bay City with a great team of office professionals and experienced skilled trades professionals.